A very lighthearted, humorous, and fluffy/romantic novel about the MC climbing to the top of the supermodel world. Don't expect anything too deep with character development. This is a purely simple, stress-free read. The MC and ML have a good supportive relationship; no overly dramatic misunderstandings or angst. Although some parts regarding the events and descriptions get a bit repetitive (this is a pretty long story), overall the plot and progression were very logical and entertaining, especially the comedic clips of online dialogues/commentary by fans! Be aware, the author has a... more>> strong nationalist spirit. I didn't think it was that bad since it's written from the beginning that it's an alternate universe. I'd definitely look at the other books written by this author, especially Superstar Aspirations. Both MC and ML are very OP. It was nice that MC was able to 'beat' the ML in the rankings in the end instead of being forever overshadowed by the ML (which often happens in other stories). MC is also very confident/assertive and has his own personality and capabilities. Very balanced relationship with the ML. I’m dropping this at chapter 23. I made a mistake to trust the reviews and not my own sense. i didn’t want to read a shallow story about goodlooking but boring characters. There been no humor to me... not even satire, sarcasm or irony. this novel is diamond!!!! If I did't write a review then I will die due to regret!!!!!! squeak~ how to expresss my love for this novel!!! you ask why? The answer is : ITS HILLARIOUS!!!! I MEAN SUPER... more>> FUNNY?!!!! Especially the inner monologues of every character!!! And how can one forget the awesome use of kaomoji!!!! jus read it once!! Jus once!!! And you will love it! and you will not get the usual cliche' full of face slapping ~ there face slapping but not much its jus MC impressing everyone with his awesomensss!!!! and did I say that it awesome well it is!! The ML is quite nice too. He's sufficiently overbearing and doting without suffocating the MC. He trusts his opinions and lets him fly freely but is always there to catch him if he ever stumbles. The cannon fodders are what they say they are. Nothing... more>> but cannon fodders. So far I havent seen nor foreseen a character that has yet to shake the MC's momentum. So all in all, it has a rather light plot and it can be a bit predictable, but it's not really a con for me. What I enjoy the most is the MC and ML's interactions and how the MC wipes the floor for every project he has. Lol. I have yet read this novel bcuz I'm scared that... i'll be too impatient waiting 4 updates that i'll be MTLing the rest of the chapters. I like the story so far; the main character doesn't pull tricks out of an invisible hat but mainly keeps his cool. This story really reminds me of Skip Beat! ; except the main character of RS is male and it focuses more on a model-word instead of an acting-world. Possibly one of the best BL modern transmigration stories I've read. The MC is really lovable, and I'm not saying that because he's the MC. He's actually quite different from other BL leads, because he's not some vengeful face-slapper, nor is he a docile, dense character. He's quite the black-belly character himself, but he's also lowkey about it. As long as you don't intentionally mess with him, he won't mess with you. He does remember good deeds and helps out people who treat him fairly. And while he is OP when... more>> it comes to his profession, readers will soon realize that there's a reason for his OPness... Modeling is the only thing he's good at, haha. The gap moe is so cute! I also like the ML, but he's somewhat the typical ML you see in BLs. Mysterious, black-belly, and totally awesome. As I'm reading more about him and his interactions with the MC, I find that I like him a lot as well. The bantering and teasing between the MC and ML is so hilarious that I've found myself grinning like an idiot in public. The romance between them is also the slow-burn type, which is my absolute favorite. No instant-love here, guys! The research in this story is pretty good. We get a lot of details about how the modeling industry works (well, at least how it is in Huaxia) and how the MC moves his way up the modeling ladder. The descriptions about the fashion shows and clothing styles are fun to read about too. The thing that probably sets this apart from other transmigration novels is that there isn't a lot of face-slapping so far, which is really relieving because face-slapping gets tiring after a while. Instead, this novel is more about the MC's path to become the top model, all while deftly handling those who try to get in his way. I simply love every entertainment circle stories written by this author. All her characters are interesting, her plot always well-thought out, and the romance part always left me wanting more. She has like 5 showbiz novels, and yet every one of them have their own unique charm that makes them differ from each other. This story is no exception. One thing I love the most about this story is how human the characters are. We have a MC who is so amazing at modelling but basically fails at anything else (acting,... more>> singing), and we have a ML who might seems so perfect and composed but actually a big dork inside (esp when it comes to MC). And just like most the author other stories, the romance in this want is slow-build as well. But it is very well paced, and nothing feels rushed and dragged at all. In fact, imo the slow-build is one of the charm of this story. Good story and fun couple with an actual healthy, grown up, give and take relationship. ML here might not be as funny as God Qin from SA but he's got his own endearing quirks. The MC is OP when it comes to modeling, but he's very human when it comes to everything else; like acting or cooking. Among the best tranmigration novels I've ever read!!!! Till now I haven't read a story of her that I'd call bad.... everyone of it is a gem, atleast for me!! ... more>> The MC and ML are among my favourite OTPs....I love how they bicker with each other and are happy even for the smallest of things...I want to say a lot but I don't want to spoil even a bit so, I will make it short---AHEM! What are you waiting for..... go give it a try!!! It's worth your time spent like all her novels!!!! This novel is so very good! I don’t want it to end. Other than the translations that needed better editing (but still way better than machine translation! ), I love every chapter of it! This is one of the chinese BL that I like. The MC not too OP and seems more humane, the plot is nice and exciting, got some new twists to keep story interesting, however, the way MC keeps getting successful is a little bit redundant. The romance for me is just a right pace. Next, for the translator (@rainbow turtle translations), I like your translation, however, you might need some editing for the story, there are some part I find it mistyped or weird. The romance in this novel is so sweet and beautiful that it will give you cavities. The plot is something that some authors have a difficulty writing well but this one handle it so well that I don't have anything to complain about. I love that the ML found out that MC transmigrated and that he was from other world. This is definitely a memorable novel. I absolutely love this novel and would always go on novel updates every day to see if this one updated. The ML and MC are so lovable and there are those cool scenes that make you wanna read it again and again. I highly recommend this! Just one chapter and you'll fall in love! The saddest part is when we learned more about the past. The saddest part is when we learned more about the past. The saddest part is when we learned more about the past. It was funny. It was a really happy story. The main couple suited each other. The revange plots are nice. However I probably won't reread it because the story doesn't really have any debt. The MC is so talented that he doesn't really struggle. Though it is a story that leaves me satisfied and happy. The saddest part was when we learned about the MC past death. Just light story. It's full of fluffy moments, which I love. I'm also a CP fan of Xi Ze and Ming Xiaoyu. I'm sooo gonna miss them all. This story really made my imaginations gone wild. I also like beauty and fashion so. In waiting for some more fluffs. Wahh thank you author for making this story. The narration and plot of this story are so good and the way the author give life to the characters of the Rebirth of a Supermodel makes me love them even more. The interaction of the characters are so vivid and sometimes hilarious. And god the feels, for every interaction of Mingyu and Xi ze and how their relationship develop further in this story makes me giddy haha. All in all, for me this story is not all about love (but yeah... more>> without the MC and ML romance, I may not finished this novel XD) but also about some realities of life. 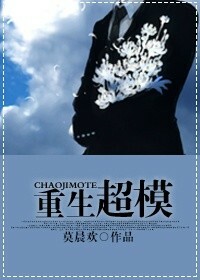 For those people wanting to find a good bl/danmei story then this novel is for you.